I'll be at the following fabulous independent bookstores in November and December to celebrate the end of the WVMP RADIO series with its final book, Lust for Life (official release date: November 27). Not celebrating as in "yay, it's over," but celebrating as in "yay, happy ending for Ciara and Shane!" Reading and signing with authors Megan Hart, Natalie Damschroder, and Catherine Jordan. We will sign and chat with readers from 4-4:30pm and 5-6pm, with readings from 4:30-5. Note: I'm working with my publisher and the bookstore to try to get copies of LUST FOR LIFE there, but it will be cutting it close, since the books don't ship until earlier that week and there will undoubtedly be delays due to Hurricane/Superstorm Sandy. Once I get confirmation that the books have arrived, I will add a note here. 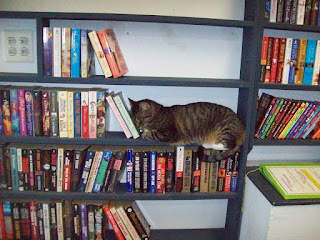 EDITED TO ADD: Just got word from Kathy at Paperback Exchange: LUST FOR LIFE will be there! As will all the other WVMP and SHADE books. YAY! Day-long multi-author booksigning to raise funds for local school library. Note: It's mostly a children's author event, but I will have my adult titles available as well. Also, Constellation is now taking preorders for signed, personalized copies of Lust for Life. See yesterday's post for instructions. Reading, signing, meet and greet at this fabulous venue. Signing with author Maria V. Snyder. I'm also planning to sign a ton of stock at Books-A-Million in the Springfield Mall in Springfield, PA (1250 Baltimore Pike), the night before Thanksgiving. So if you go there on Black Friday weekend, there should be plenty of autographed copies of my books. I've decided not to do a formal signing event on Black Friday/Saturday so I can spend more holiday time with my family. They see very little of me thanks to this crazy writing life. 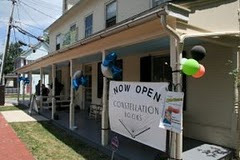 As you may know, my local independent bookseller, Constellation Books, provides signed copies of all my books. When a new book comes out, or I'm about to do an event there, you can get them not only signed but personalized to you or someone you love (or someone you merely like)! Preorder before Wednesday, November 21, 5pm Eastern time. I will sign them on Sunday, November 25 (when I'm taking part in Kids Authors for the Holidays signing from 1pm to 3pm), and they will be shipped as soon as possible afterward. Use this link for preordering signed copies, and when you fill out the form, please include in the comments whether you would like it merely signed with my name or if you would like it personalized. For personalization, please be specific on spelling, nicknames, additional names, etc. For example, "Please sign to Ernie and Bert." If no personalization is requested, the book will be shipped with just a signature. International orders: Contact the bookseller via the email link on the left-hand sidebar, and she will send you a Paypal invoice. 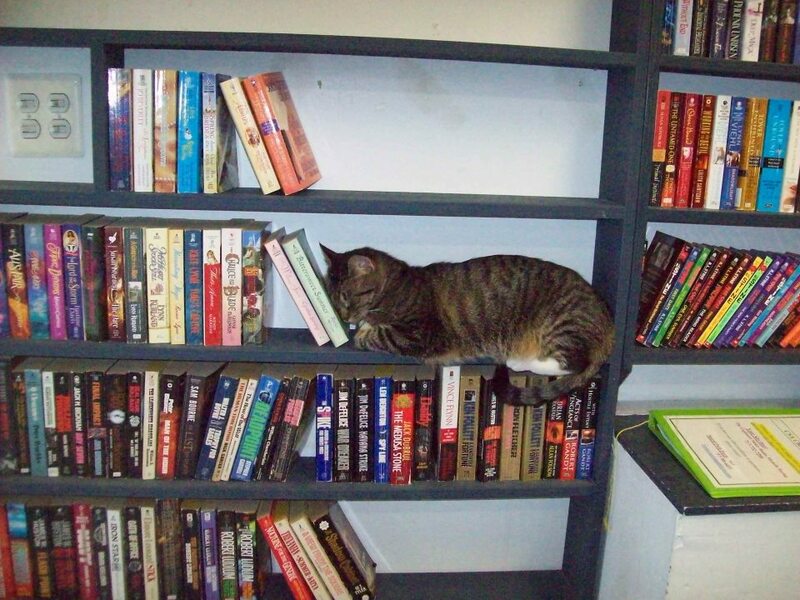 All questions and concerns regarding orders are to be sent directly to the bookseller. I do not need to be cc'd in an email, mentioned on Twitter, or tagged on Facebook. I'm VERY excited for you to read the final WVMP Radio installment. Thanks for buying the book, and especially for supporting a fabulous independent bookseller! PS: If you're a reviewer/blogger with a US address, you can request a copy of Lust for Life from my publisher by filling out this form by noon eastern time on Monday, November 5. The countdown begins! There's exactly one month left until the official release of Lust for Life, the fourth and final novel in my adult WVMP RADIO vampire series. I'm sad that after all these years it's finally ending, but I'm very excited about how it ends and can't wait for you all to read it! My publisher, Pocket Books, feels the same way, so they will be sending out finished review copies just a little over a week from now. If you'd like to receive one, please fill out the form below by noon Eastern time on Monday, November 5. US addresses only. Reminder: Be sure to check out Book 3.5, the novella "Let It Bleed," before reading Lust for Life. It's available as a free download in all formats here on the website. "Let It Bleed" also contains an exclusive look at the first chapter of Lust for Life, which I'll also post on the website tomorrow or next week (hurricane Sandy permitting). If you're a fan of the series, I would ask that you seriously consider (please please please) buying a copy or getting it from your library. The amount of support I get from my publishers on future books will be greatly affected by the sales of Lust for Life. I would like to keep this crazy writing gig for a long time, and only you can help me do that. Thanks for all your amazing support! Pre-order from Constellation Books (signed copies--if you want your copy personalized, please order by Friday, November 23 Wednesday, November 21, 5pm Eastern time, and note on the online order form in the comments section to whom you want it signed), Barnes and Noble, or Amazon.com. Books shipped from my publisher will not be autographed, but if you subscribe to my newsletter (see the box on the right sidebar), you'll have a chance to request signed, personalized bookplates when the next issue goes on November 27.
Who: Science fiction/fantasy authors Brenda Clough, Morgan Keyes, and L. Jagi Lamplighter. Oh, and me. Moderated by Colleen Cahill of the Library of Congress. When: Saturday, October 27, 8pm. Where: Baltimore Science Fiction Society, 3310 E. Baltimore Street, Baltimore, MD. What else: My favorite indie bookseller, Constellation Books in Reisterstown, will have our books for sale after the panel. I'm happy to sign them, and as always, I love to chat with readers about anything and anyone. As you have probably noticed, I have a few opinions on how fictional heroines are perceived and judged. Looking forward to a fascinating discussion before Hurricane Sandy wipes us all off the map! GCC feature with Kelly Parra and SOMETHING WICKED! If you loved Prom Dates from Hell, or if you're in the mood for the perfect Halloween read, there's a new anthology of creeptastic YA short stories, Something Wicked! And this week's Girlfriends Cyber Circuit author, Kelly Parra, has a story, "Mermania," that you won't want to miss. I swam to him into the deeper waters. His arm came around me, holding me afloat. His features were what Oz would call angelic, with light colored hair, almond shaped eyes, a straight nose and full lips. He pulled the band from my hair and my black strands spread across the water surface. His eyes were dark. When I looked into them, I could see the reflection of the waters. So deep ... in his eyes. He closed his eyes and breathed in. “Yes, I can smell it. The magic.” He met my eyes once more. “Yes,” I said, my words breathless. He leaned in, slowly, and pressed his lips to mine. His lips were cool, soft. He pulled me tightly against him. His lips pressed harder. I nudged back. His hand came to the back of my head. Something sharp on my tongue. Blood gushed. Fear speared through me. And together, we went under. And now, my interview with Kelly! Hi Jeri, thanks for having me on your blog! Since my story “Mermania” is a short story, I’ll turn to page 9! Hmm, the word “Brave” catches my eye. I share Jaz and Blake’s story through Jaz’s POV. They are both orphaned teens that detect magic and are trained by a warlock to be hunters. And with Jaz, she has emotional fears she keeps to herself while she battles monsters. With that kind of a dedication you have to be brave! I do speaking engagements at a local university for the multicultural lit class. I am always surprised when a student will admit how much they enjoyed my novels, and that it was the first book they ever finished! Writers are avid readers and we may read books all the time, so I am always humbled and thrilled when someone who is a reluctant reader has chosen to read my book – in this case it was Graffiti Girl – to complete and enjoy. “Trippy.” Haha. My characters as teens say it and also, “Trip out,” and I find myself saying that too. I have this fear of travel in airplanes and cars in close traffic! It’s awful. But when I ride trains I’m not bothered so much. Hmm, I think what may define my generation is technology, but than I feel that is many generations at the moment. We are reaching other planets, making astounding discoveries, and new technology is on the rise everyday. Kelly Parra’s earliest stories were told with paintbrushes, but upon discovering the drama and forbidden love of romance and suspense novels, those paintbrushes were replaced with a keyboard. 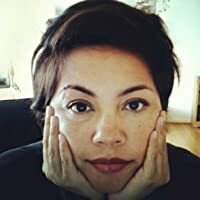 Now a multi-published author in young adult and romance fiction, she has created memorable characters such as a graffiti artist in Graffiti Girl, a psychic teen in Invisible Touch, and a tough undercover narc in her novel for adults, Criminal Instinct. A two-time RITA finalist, she divides her time between her novels, short fiction, and the adventures of motherhood, where she juggles her home life with two children, a tattooed husband, a sweet poodle, and a rowdy pit bull. Visit her website www.KellyParra.com, follow her on Twitter or Facebook, or check out her page on Amazon. Happy Early Halloween, everyone, and congrats to Kelly on her new release! 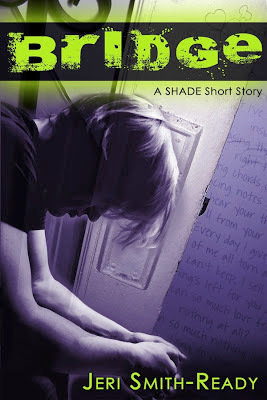 It's the 17th birthday (again) of our favorite ghost punk rocker, SHADE's Logan Keeley! To celebrate, there's a #SHADEboys chat tonight at 10pm Eastern time. Just follow that hashtag or go to the SHADEboys room at Tweetchat.com. Be sure to follow Logan, Zachary, and Martin on Twitter (and on Tumblr) for SHADEboys action every day. Also, Kilt and Keeley has a special post today on their blog, and they've created a board on the Team Kilt Pinterest just for Logan's gifts (he already has more than I got). But what you're really here for is the big news, right? RIGHT? Logan's birthday is the perfect occasion to announce the imminent arrival of "Bridge," his very own short story! "Bridge" was originally published in the YA paranormal anthology Enthralled: Paranormal Diversions, edited by Melissa Marr and Kelley Armstrong. Kirkus loved this anthology, calling Logan's story "intense and earnest." It got a recommended review from the Bulletin of the Center for Children's Books. Most exciting of all, recently Enthralled was chosen by The Guardian for their National Short Story Week recommended reading list for children and young adults! BRAND NEW: Heart-to-heart interview with Logan and his brother Mickey, the other major character in "Bridge." The brooding, tortured Mickey has never before spoken in public, and this interview will be EXCLUSIVELY available in this ebook.